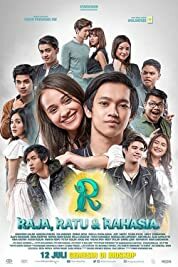 R: Raja, Ratu & Rahasia (2018) | Khaanflix | Watch Latest Box-Office Movies Online for Free! Ratu joins a club called 'Komplotan Rahasia' in order to bring joy to herself because her parents are dead. Then there's Raja who loves Ratu. But Raja has a secret.